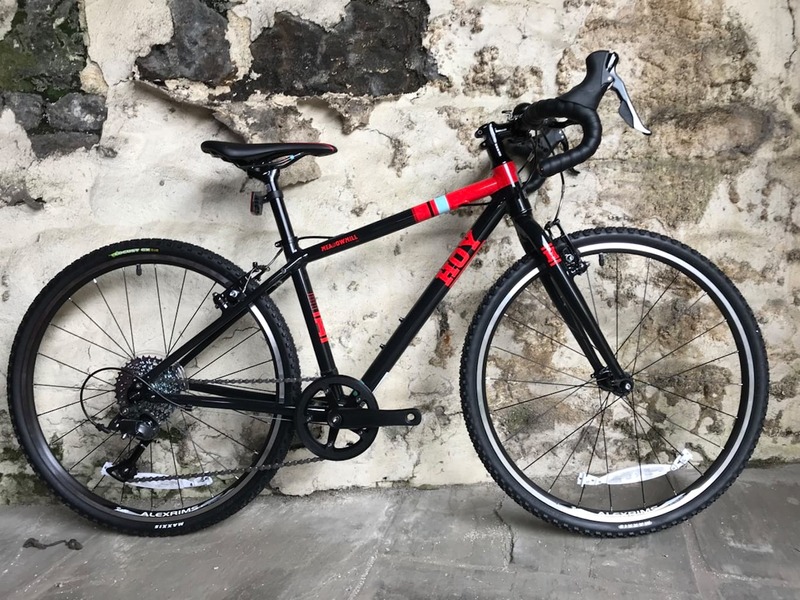 This Hoy Meadowmill is the 2018 edition of the drop bar / cyclocross / all road / wherever you want to take it bike for children. It comes in a 24in and 26in wheel size – we have the 24in here – and is designed to be as child friendly as possible. This 24in version is £460, while the 26in version costs an extra £20. 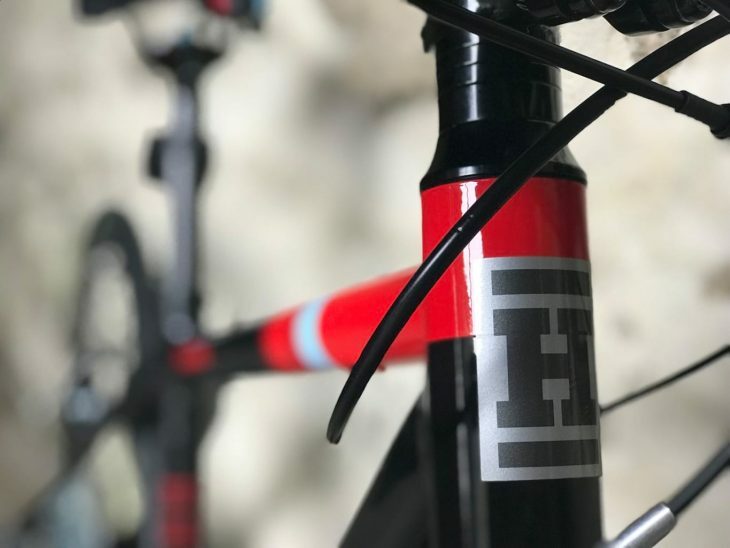 The entire Hoy children’s range is only available to buy from Evans Cycles. For wherever you want to take it. 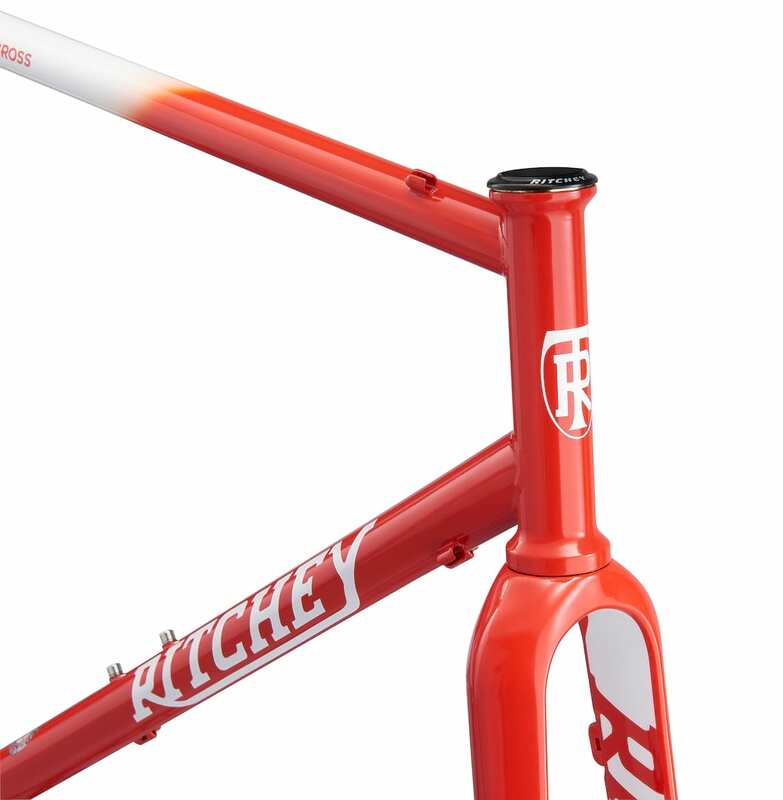 Made with an alloy frame and fork, this year’s edition has new tubing dimensions, shorter cranks and lighter weight components. 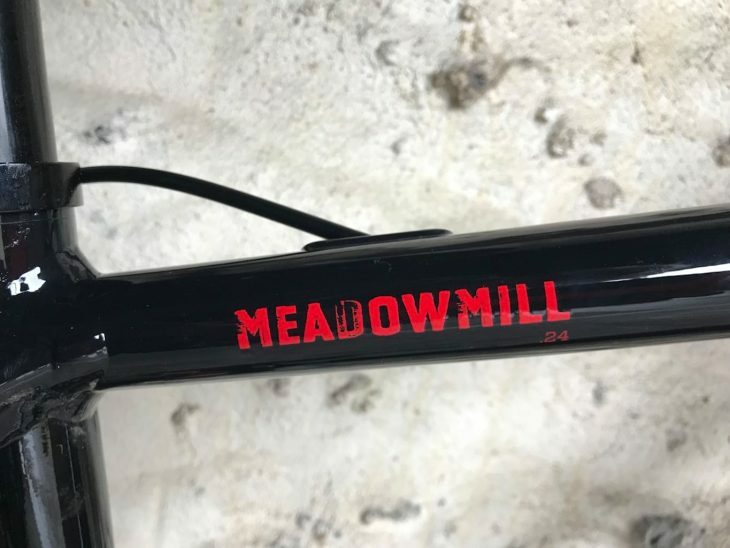 The claimed weight of the Meadowmill 24 with pedals is 8.69kg (interested parties may wish to note that Islabikes claims 8.9kg for the Luath 24, and the Frog Road 67 claims 8.8kg). Our test bike arrived without the pedals, so we’ll check the actual weights once these arrive and we complete the review. 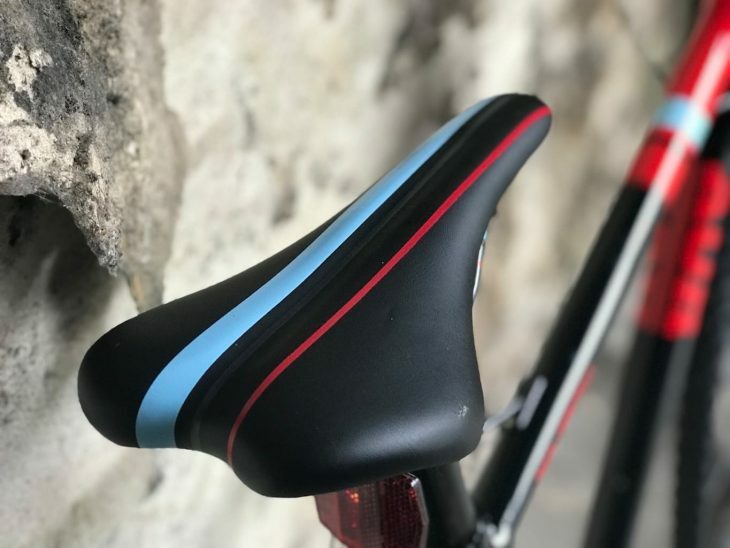 Foam filled saddle specially designed to keep weight down. The graphics are nice and simple, not childish, and nicely gender neutral – especially handy for those with half an eye on handing down bikes to further siblings. The 26in option comes in the same pattern as the black, red and blue 24in model, but with the red swapped out for a bright flouro yellow. 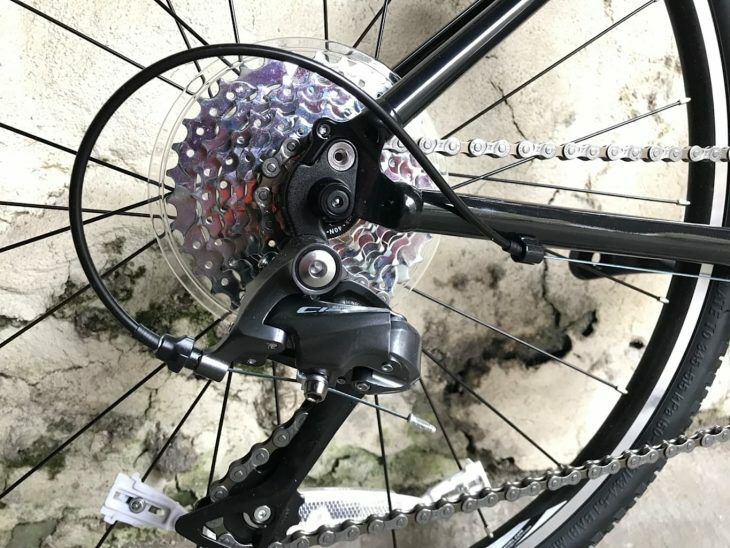 Gearing is provided by Shimano Claris, with a 1x 8 speed set up. 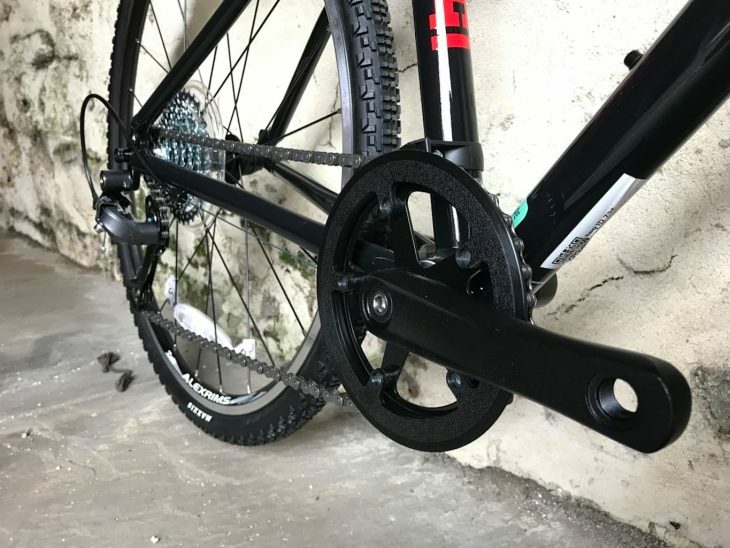 Eight sprockets at the back give a range of 11-34T, with a 36T chainring up front. 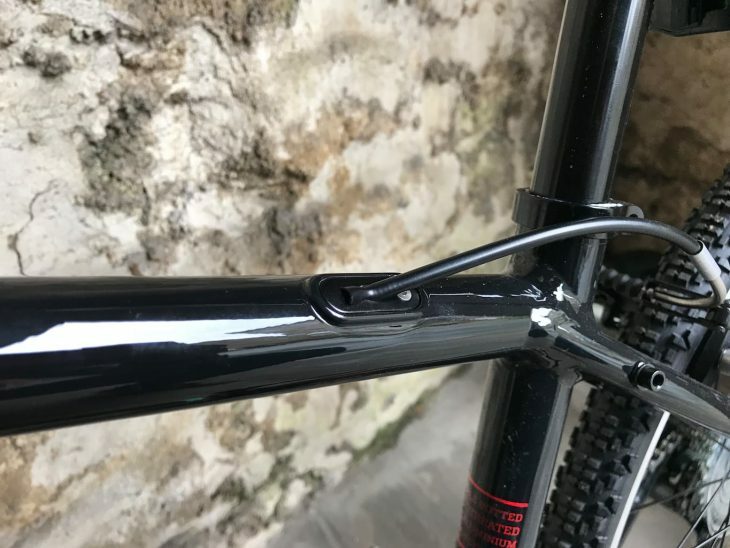 As well as a shorter crank length, there’s a narrower Q-Factor to keep little legs aligned to little hips. 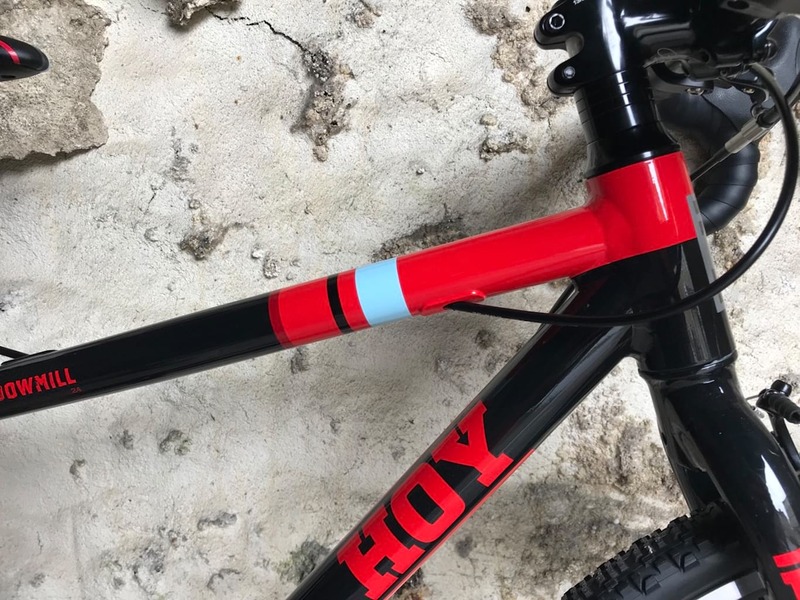 The bars are also specially designed 25.4mm ‘Hoy Kids road’ with 340mm width, 94mm drop, 68mm reach – plus a corresponding 60mm stem. Specially sized bar and stem. 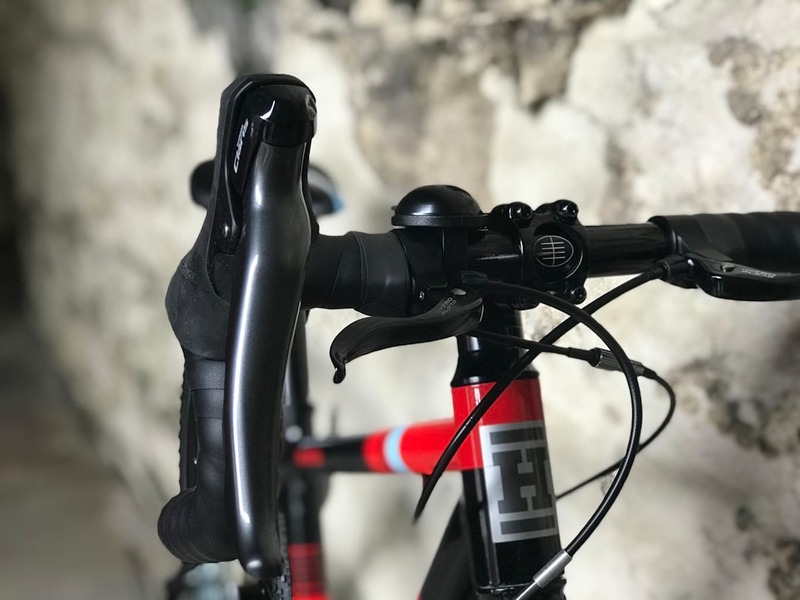 There are top brakes as well as drop brakes – good for panic braking, getting used to drop bars, and just having an extra option to hand. 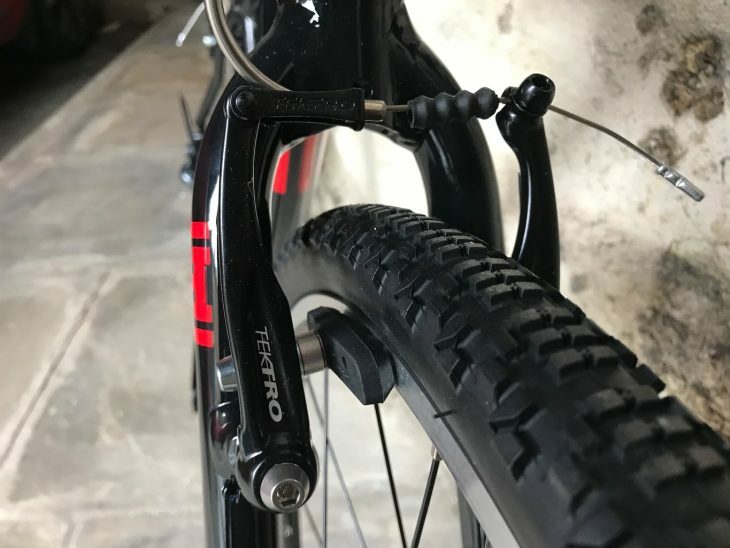 Brakes are old school rim brakes – no disc brakes here. …and also helps protect cables from knocks and mishaps. 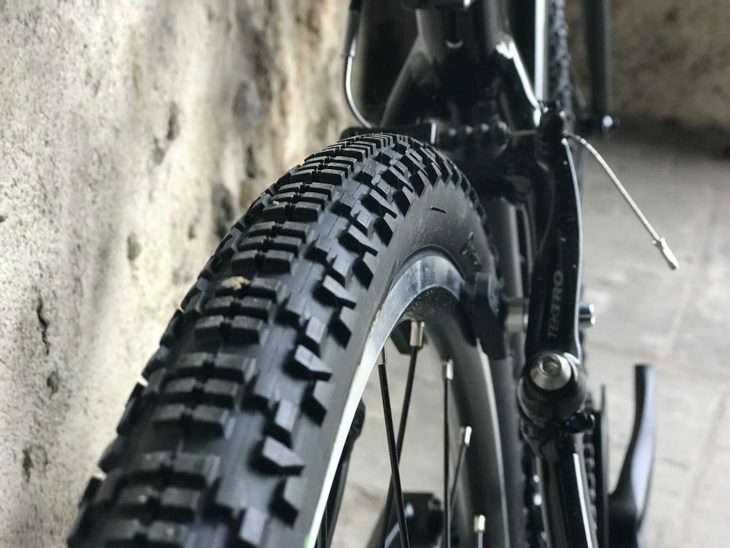 The wheels come shod with Maxxis Locust 24×1.25 tyres – grippy enough for a spot of offroad, but with a fairly fast rolling centre for road sections (though we obviously recommend partaking in as much #dirtydropbargoodness as possible!). 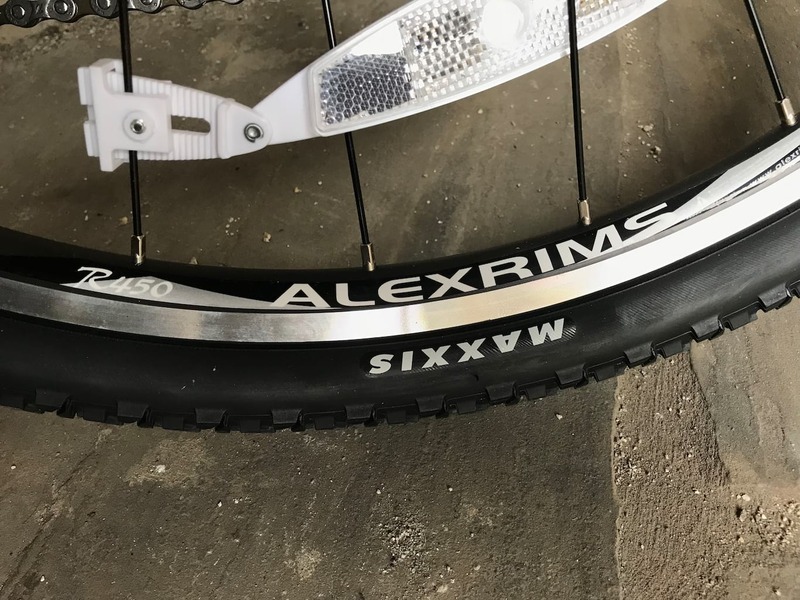 Double wall rims for extra strength and stiffness. 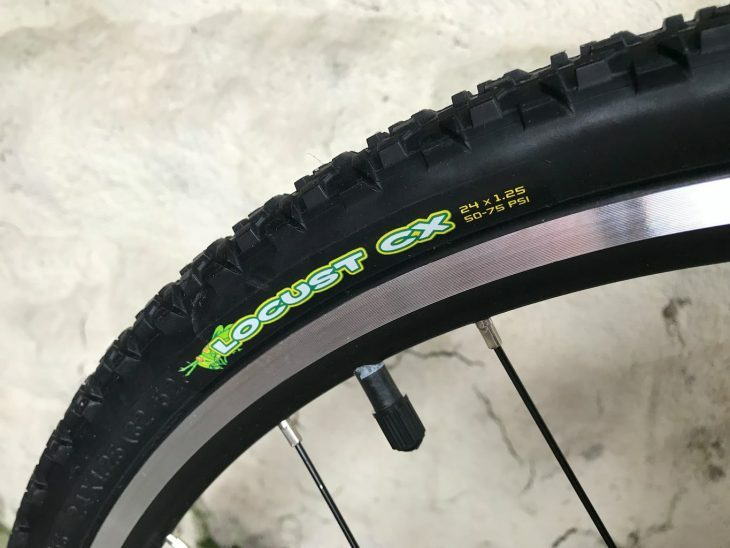 It’s great to see an increasingly competitive market for children’s bikes. 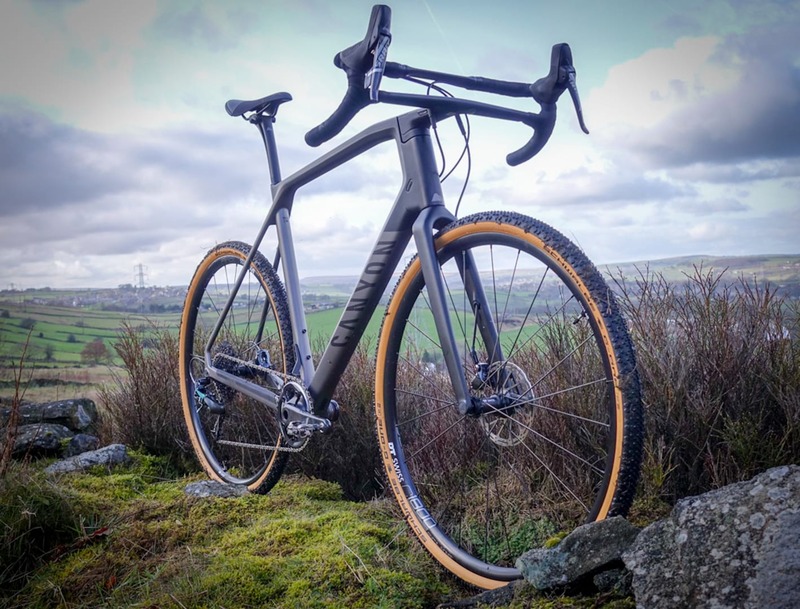 Keep an eye on our Instagram feed for us testing out and about, and we’ll bring you our verdict soon.